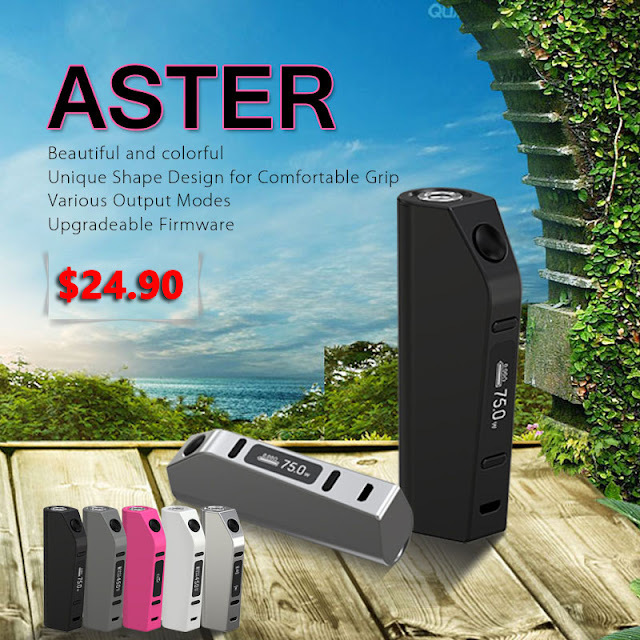 Firmware V1.03 of Eleaf Aster features four switchable display interfaces: Puff interface, Second interface, Voltage interface and simplified interface, allowing you to know your total puffs and total vaping seconds as well as to choose the interface you are most accustomed to. Also the preheat function is added. Download the file to find more instructions on using firmware V1.03 before download the firmware V1.03. The history version, the firmware V1.02 is updated with a boot/shutdown animation, a more simplified TC interface and an intuitive progress bar of vaping time. and the original firmware is Firmware V1.01.